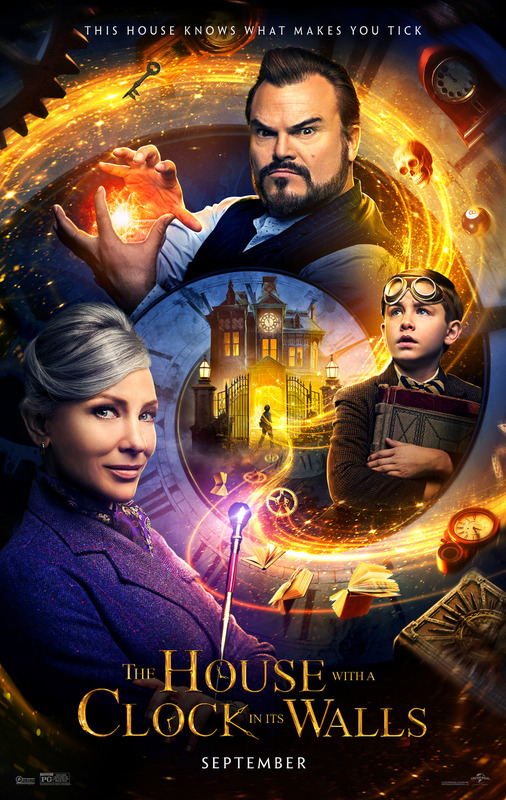 With a wink wink and a nudge nudge, Jack Black and Cate Blanchett vamp their way through "The House with a Clock in Its Walls," a kid-friendly, semi-scary comedy about magic and the power of good over evil. Young Owen Vaccaro comes to live in Jack Black's creaking Victorian house, where the chairs come to life and the stained glass window changes shape, and a clock embedded deep within might stop the world. The kid discovers his uncle is a warlock, and the neighbor lady is a witch, and as long as he doesn't invoke any spells from the book hidden in the big cabinet, everything will be fine. Of course, the kid invokes, and of course, everything goes haywire. "The House with a Clock in Its Walls" has more laughs than scares. Call it Harry Potter-lite. 2½ stars, rated PG. Does it deliver what it promises? Kid-friendly magic tale. Is it entertaining? Jack Black is a delight. Is it worth the price of admission? Just for a wink and a nudge.